Many of our courses have benefits across various different areas of mental activity. For instance, training your memory will not only improve your memory, but will help with concentration and creativity as well. This is also the case with mind maps. While we include them in our courses on absorbing information, they are also a wonderful tool for creative and analytical thinking. 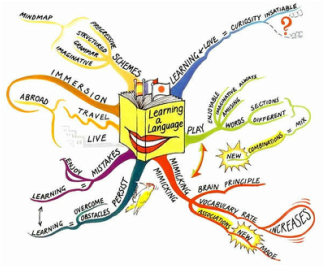 Mind maps make use of our brain's vast network of associations and combine what are traditionally thought of as left brain skills such as order and logic with right hemisphere skills like rhythm, colour and visual appeal. As such they make what we write - our notes, plans and ideas - more creative, more memorable, more visually appealing and more enjoyable. Mind maps can be used to make notes, generate ideas, plan speeches, presentations, lectures and articles, help make decisions, analyse situations as well as being ideal as memory aids. They can be used by anyone, but to really understand how they work and to get the best out of them, it is advisable to have expert tuition. Our training will introduce you to mind maps and in a step-by-step manner show you how to use them in a way that is engaging, fun and which gets the most out of your brain.